Ray Guns: Lots and lots of awesome space guns. 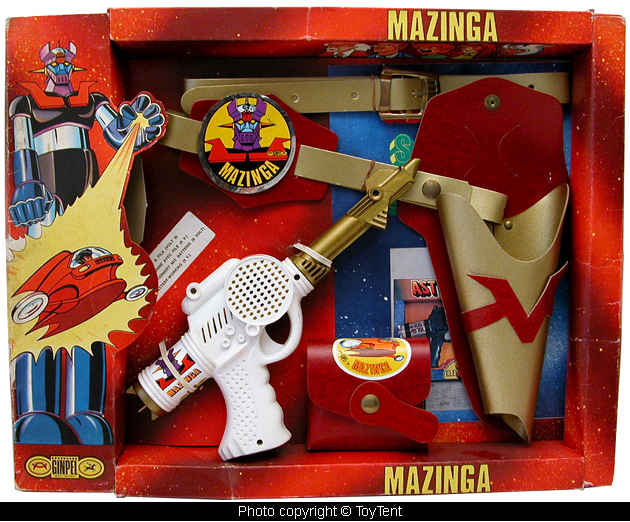 A Mazinga ray gun, Flash Gordon (the movie) gun, and some other cool ones. Totally worth looking at. TH3 Project: Added a Thur gun and a page on the ZX series of guns. Related to above, sure, but TH3 baby. Micronauts: A Grandstand Toys knock off Deltarian Fighter. Have to see it to believe it.